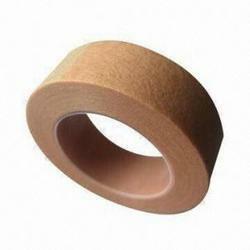 We offer a wide range of non woven tapes like surgery , micro porous etc. which are registered under the trademark of DuPont, USA and is used for various activities like touch up work on various surfaces like foam and is also noise and vibration resistant. These also include non woven surgical tapes which are extremely useful in different health care department and used to secure dressing material to skin specially recommended for babies and elderly patients. 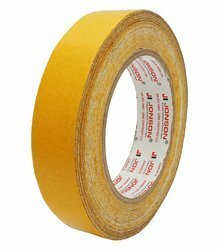 We and engaged in manufacturing and supply of rubber cushion tapes which has a great adhesive strength as well as stretch quality. It is specially used to join and seal joints to avoid water and dust from entering in and damaging the object. The cushion effect it has gives it a long lasting affectivity and life. It is used in telecommunication, wiring, outdoor and wet and moist places. Perfect for wet and moist places. We offer fine quality of copper tapes which are not just highly heat resistant but very light in weight to make it easy to work with them and highly durable. It is also reliable due to its high conductivity. Our experts keep a strict eye on the quality of the product manufactured by us. 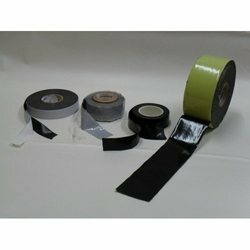 These tapes are high in demand in both small and large industries for electrical related process due to their long shelf life and not getting damaged by little mishaps. Can be used on irregular surface..
We manufacture a wide range of reflective tapes which have high visibility and are available in different colors and patterns. These are widely used in garment and textile industries and can be customized as the client requires. It also has high strength, stickiness, durability and resistance to heat & temperature. These can also be used for safety purpose during the night time and work in any temperature. Available in different patterns and length. 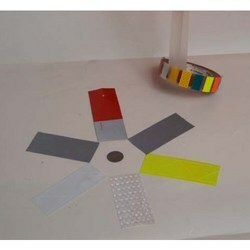 We deals in high quality RFID Tape. Which is known for it's high adhesive and Radiofrequency blocking. This is very popular in Leather industries. This is used in Volets, Handbags/Carrybags and Purse etc. The purpose of this tape is to safe all kinds of personal Document like-Debit card, Credit card etc. from scanning machines.